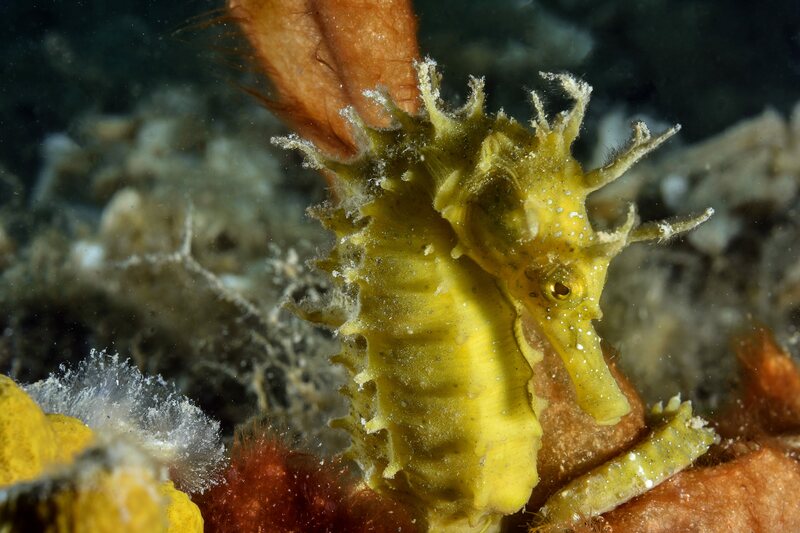 Our world is full of unique animals, but sea horses really steal the show. These underwater dwellers have a very distinctive biology and despite their small size manage both to impress and inspire imagination. 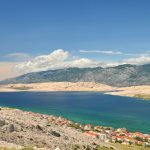 Members of Croatian scuba club No Limit Diver have recently explored the seas in the vicinity of Sveti Filip i Jakov settlement, where they encountered a gorgeous specimen of this animal kind. With its charming snout and yellow color, the curious being literally posed for the underwater camera. 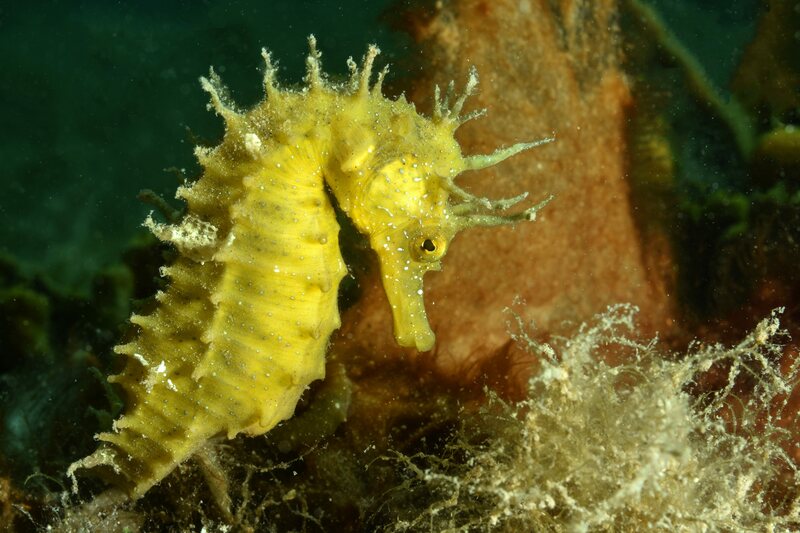 Although most sea horses rarely exceed the size of ten centimeters, some were found to double that size. These really look like coming from another planet. These animals like strong currents, and tend to live in the grassy bottoms full of plankton and small shrimps. 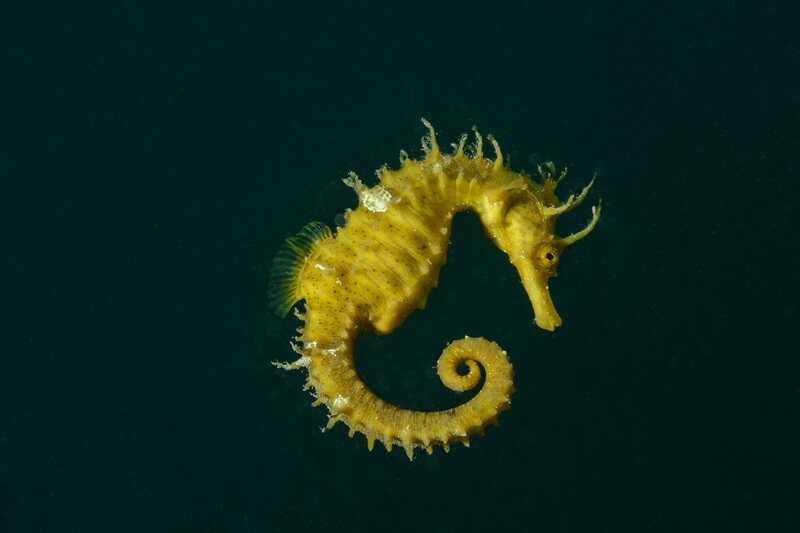 Sea horses swim with their whole body upwards, even when navigating frontally. When exposed to strong current, they catch a stable hold with their tails, thus preventing unwanted movement. 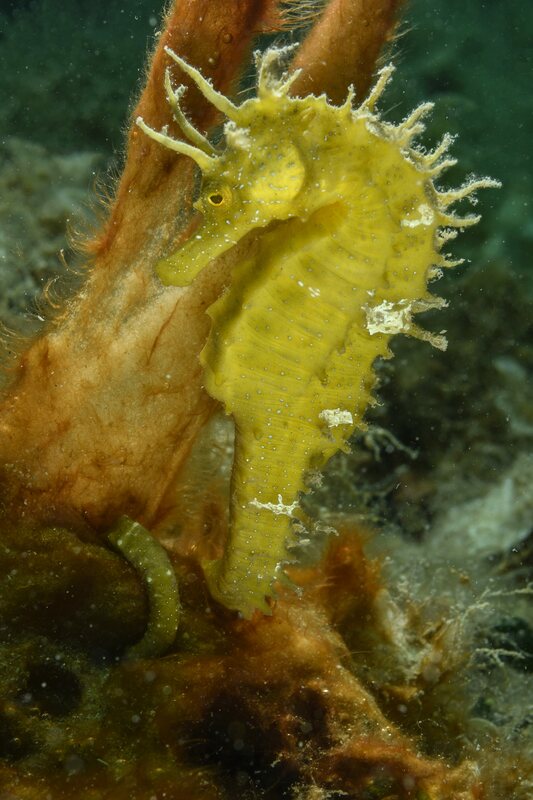 Unlike most living creatures in the world, it’s the male sea horses that take care of unborn children. Once the eggs are fertilized, these dedicated daddies hold them in their stomach until they reach larvae stage. 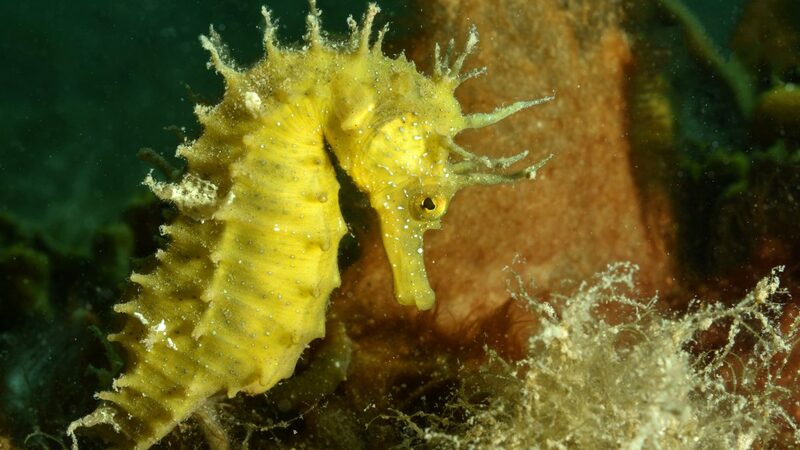 The marine biologists don’t have precise data on sea horses population, but the species doesn’t appear to be struggling in the modern world. Despite that, the animal kind is under dense surveillance and its trade is scrupulously controlled. You can have sea horses as pets, but they are extremely difficult to handle and require a very dedicated owner. These animals need concrete water temperatures, and feeding on daily basis. Their diet is uncommon too, as well as aquariums in which they are kept. 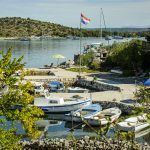 Which strange animals have you encountered in Croatia? Share your stories in our comments section below.